As they say cometh the hour maketh the champion. When it comes to the most walloping and stupendous league of the world – Indian Premier League (IPL) , between the most prodigious international giants of the world. T20 game is a format where batters have to score at a breath taking rate to meet the demands of the game. The very best in the business who can display versatility of skills and that too with abrupt consistency with the bat take up the top spot in the list. There is a tradition in the lucrative league that the top-run getter is awarded with the orange cap. Orange cap is the face of the sheer consistency, temperament and dedication . The West Indian dasher who hails from the Port of Spain is a clean hitter of the ball. 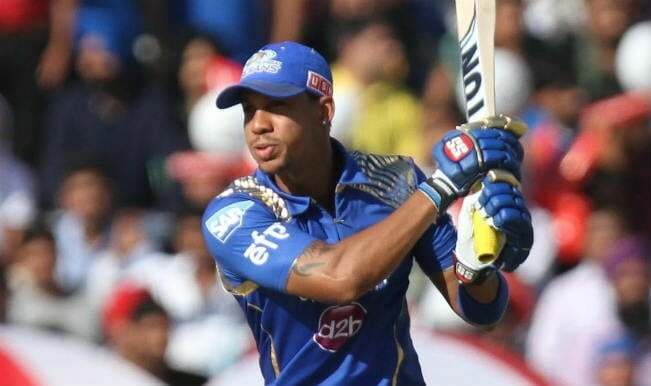 He has been the face of resurgence for the Mumbai Indians side. Be it the previous season or the ongoing edition of the IPL, his comeback in the side has lighted up the hopes of the franchisee from the face of disastrous string of losses in their early outings. Prior to his inclusion from the side, the team had lost their opening three matches but since he has donned the Mumbai Indian colours, the team has won eight out of their 11 matches. He has been a prolific run scorer for his side with 407 runs to his name. So far he has piled up four half-centuries at a respectable average of 40. His role in the side is to hold up one end and play through the innings. He has a decent strike rate of 118. He is ranked 10th in the list.